why isnt there a post your ride in this section? Or if there is I hadnt seen it somehow..
anyways, post your ride 99 up style..
1972 Chevrolet C-20 Custom Camper "Dump Truck"
1972 Chevrolet C-20 Suburban "Big Green"
1969 Chevrolet C-50 Wedge Hauler "Leonidis"
1966 C-10 2x4 short fleet 327 4 speed "Race Truck"
1931 Ford Model A Tudor "Silverback"
1931 Ford Model A Coupe "Black Beauty"
Rottenwood Garage and Speed Shop.....where everything must be racy! It's not just a hobby..It's a LIFESTYLE!!! You cant fix stupid or teach accountability! Time wasters, looky Lous and tire kickers are everywhere! Last edited by 72freak; 08-26-2007 at 01:14 PM. Here's mine. '01 Silverado 2500, ECSB, 4x4. No real changes yet, I've cranked the torsion bars 2" in the front and recently purchases some 285/70/R17 tires for it and got a line on a set of 5 H2 Rims. So those'll be going on along with my custom 4x4 Decal.. Anyway, heres 2 pics, one of how I bought it, and 2 of how it sits now. 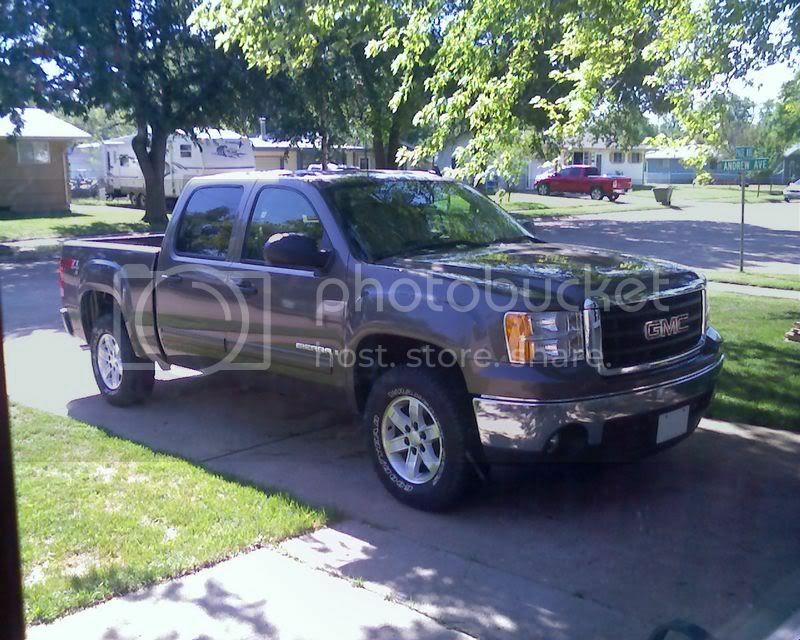 Here's the latest picture I have of the truck. I need to wax it and take some new pics with the topper. jsbgump.... More pics of the SWB stepside in the background! Here is a pic of the 05 that I bought about two weeks ago, I really wanted the NBS but this seemed to be a better deal. Youth soon passes away, but immaturity can last a life time. It appears that Jsbgump and I have identical twins. Last edited by centsless; 10-04-2007 at 08:50 PM. Catback Dual exhaust with 50series Flowmasters tailpipes exit behind rear tires. I had to sell it earlier this year...but if I get my way, I'll have another C3 someday. Maybe black the 2nd time around.